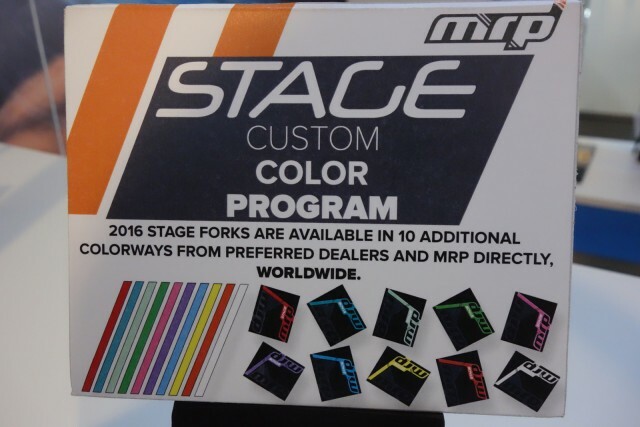 Colorado based MRP talked to us about updates in both form and function to the critically acclaimed Stage suspension fork. First up for 2016, the Stage will come in a first-of-its-kind custom colour program for individual end users, and improvements have been made to the fork’s performance too. At no extra charge to riders, the MRP custom colour program offers a palette of ten colours for those that want to match their forks to their bike. 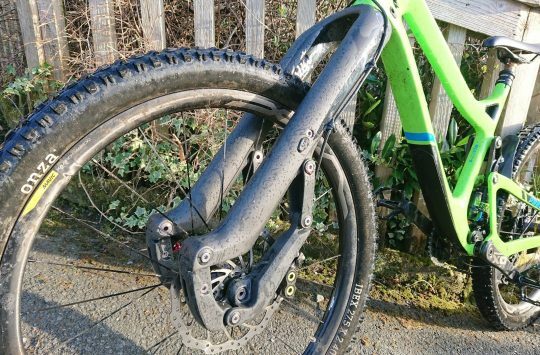 Updates to the line aren’t purely aesthetic either; improvements have been made to the rebound noise, compression, adjustability and suppleness of the stroke – made possible by new wiper seals. 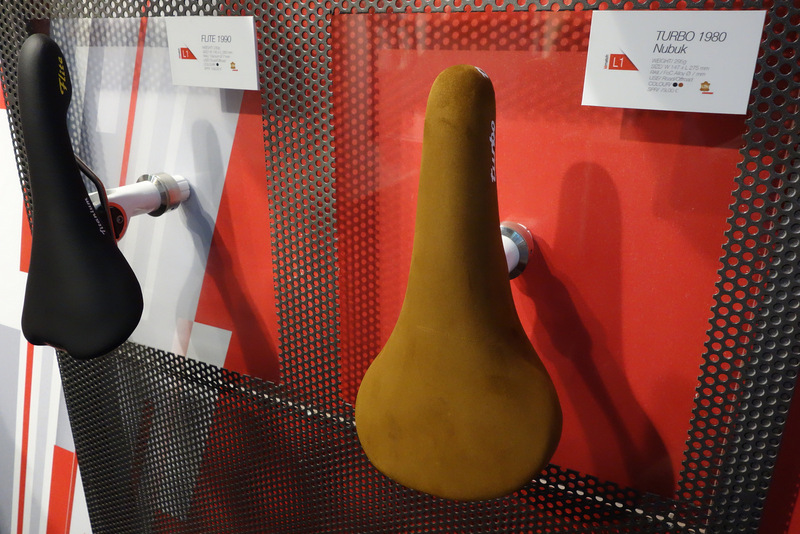 Selle Italia were showing off their saddle fit and selection system ‘IDMatch’ (Identity Maching System). We have a mini grouptest of three IDMatch saddles coming up in September. 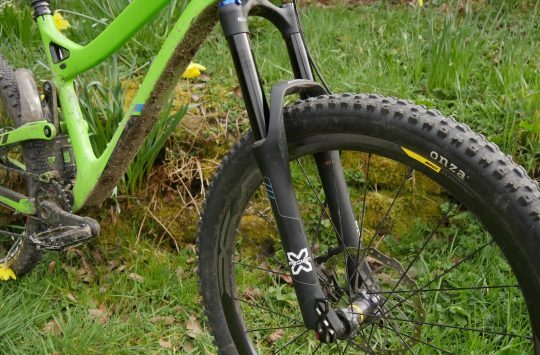 There are new saddles in the range for 2016, including some very well known perches revitalised (including a natty nubuck leather cover) wrapped around the 80’s classic ‘Turbo’ included in the facelift. Selle Italia or via Chicken Cyclekit in the UK. 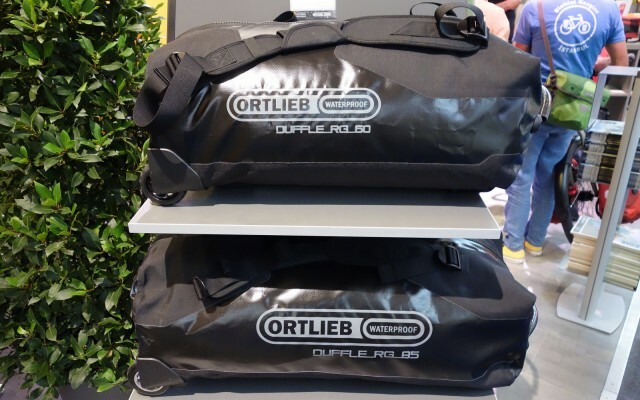 Ortlieb were showing off new sizes of the Duffle RG. 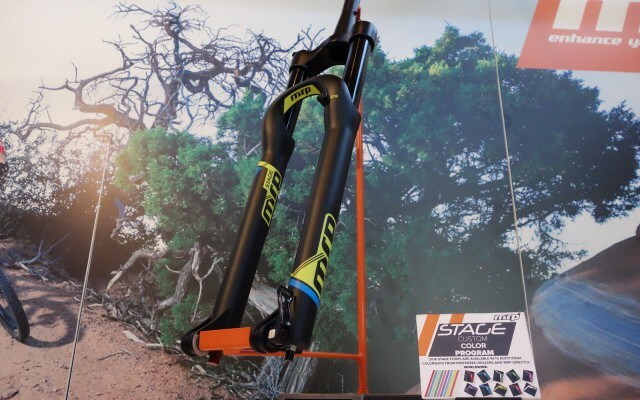 For those of us who have lived with the larger, existing duffle for getaways and overseas travel, they may well have hit the nail on the head with the addition of a telescope aluminium handle, large wheels and protective alluminum frame system, with an impact resistant underside. In short, these duffle models can now be wheeled, carried or worn as a backpack. Spines of the world rejoice! 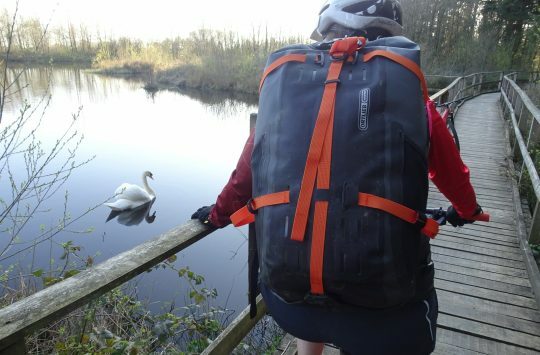 There are three new sizes on offer (34L, 60L and 85L) in black and bright yellow. The smaller 34 L size (not pictured) is designed to meet carry-on sizes for most airlines, so there’s an option all nearly all eventualities. Five year warranty included.